After all that was shown to me in ‘The Love’, spirit decided that I needed to see something a bit further along this journey of unconditional love so that I may realise it’s significance over time in how it has affected me, my way of life and just how I project that out into the world. It has been nearly two years after my relationship with the most beautiful women in the world has ended, even though we are still good friends. And in that time I have always given to that friendship, knowing that given time we would both eventually meet others and devote more time and energy into those relationships, to progress further on our journey of understanding of who we truly are. So last night I visited my princess to give her a present for her birthday. And was met by this incredibly beautiful and regal queen. Recently, over a period of a couple of months, I felt a change within her in a way that was showing, after a few years of going through some seriously traumatic events, that that time of the princess was now over. The beauty of what those events had created was now beginning to emerge like the chrysalis of a butterfly. And it was a lovely thing to see. We talked for some time and I could feel the energy coming from a totally different place. Her confidence in understanding what she had now become was amazing. She had found that lovely lady within, and was beginning to show that love to herself, after all that had gone before. Give to herself in a way that showed she had come through that trial by fire that is needed to create that rebirth within, and then come from that place to give truly from the heart. Her heart was in her eyes, the happiness in her actions. She was blossoming in so many ways after her time of understanding, with those things that she had gone through. I was so happy for her after seeing the pain and the struggle that her life had put before her so that she could find that queen within. That searching and finding of that wisdom and belief in herself to become that hope for her future and what she wanted to become. I’ll never forget that journey, as it was this princess that showed me the beauty of unconditional love. And I now realised, that was why spirit needed me to still be a part of this relationship, so that I could see that this was a gradual process like any other. We grow in faith in ourselves, we grow to understand anything we study, we grow in understanding in the raising of our children, we grow in our love for another, but the biggest and most incredible growth, is in loving ourselves. These things test us in so many ways, but in that final testing we slowly become that beautiful thing within that is unconditional love. So after all that has been said and done, my love for this beautiful lady and all that she has taught me, is undiminished. My own heart journey has reached a new place of understanding and letting go. The woman I have loved and remained friends with has grown in her own voyage of discovery. Time for me to let the princess of yesterday blossom as queen of her own heart. Sometimes letting go is the only way to keep that which we love and those we have known. A new stage of the voyage begins. Friendship and love remain. Love rejoices in another’s happiness. Always. This song is so poignant to my journey, it’s synchronicity in how I found it, was as always perfection from the universe. This entry was posted in The Journey and tagged Belief, Dream, Forgiveness, journey, love, Peace, Relationships, Religion and Spirituality, spirit, Truth, unconditional love, understanding, within on October 30, 2013 by Mark Lanesbury. Found this while wandering the community. Very interesting list for anyone curious to their journey and just what an awakening can mean to them. A feeling of being grounded to the core of the earth. Knowing that these places within your body are showing you about areas of great opportunity for growth on all levels. Paying attention to the places of pain/restriction in your body in order to move into them! This entry was posted in The Journey and tagged Belief, counsel, Death, Fear, Forgiveness, healing, Health, heart, journey, life, love, New Age, Peace, Philosophy, Relationships, spirit, Truth, unconditional love, understanding, within on October 28, 2013 by Mark Lanesbury. This entry was posted in The Journey on October 25, 2013 by Mark Lanesbury. Right, I’m going to stick my head out here. Yes, I’m only a new kid on the block but in my efforts to do the right thing and follow these ‘Awards’, and the appropriate etiquette so that I may fit into the community, I have inadvertently rocked everyone’s boat, including mine. Let me explain. The entire purpose of these awards are to give to a range of people an award for, what we individually feel, are there beautiful points. Whether that is their expressions in writing, art, photography, spirituality, suffering, big hearts, great works or just giving for the pleasure of sharing. And let me be the first to hold my hand up and say, ‘This community is loaded with some amazing people’, and individually we find people that we find an interest in, and follow them and really like the space they are giving from. 1. The Bold and Italic parts were my truth, the plain central part was where I began to feel my truth go gurgling down the drain like a ‘car salesman or politician’. (My apologies to any of those that are honest people). But MY blog (and who I am), is all about being my ‘truth’ and all this did was make me feel uncomfortable about what I was doing, even though I was giving it for very good reasons, it still felt that I was giving it falsely because the rules say I must get 10 or 15 people to give the award to (and being a new comer I only had 20 at that point), which again made me feel I was being forced to find enough to cover the rules instead of just giving because I actually did feel these people were deserving of an award. And I do feel that all the people I follow are special, I just haven’t had time to ‘get to know them’ to reinforce those feelings. I also suppose I felt uncomfortable about what I was then ‘lumbering’ onto them. I had just made a lot of friends and I was possibly now putting a dampener on that friendship. 2. This comment was received very politely by all involved who replied very courteously (Thank you everyone). Though, in the time I have been here, looking around and getting feedback from comments and replies around the community as a whole, there was this feeling of ‘oh poop’ when an award was received. 3. Upon researching ‘oh poop’, I came to realise that these awards are given, for all intents and purposes, with all the truthful intentions of awarding someone with something that has meaning and really does reflect what one person thinks of another. BUT, after doing one myself I now realise that they are also time consuming, done hesitatingly because we do not wish to ‘lumber’ it on good friends, and lastly because of the first two reasons they no longer have the appeal they once did because of that. 4. There is nothing wrong with the presentation in itself, as it is most happily accepted for why it was given, but it brings about the extremes of feeling happy, then frustration because of what it will then entail for the recipient. This is only engendering a feeling of distaste towards something that should be the exact opposite. A lot of people will find it ‘great’ and follow the instructions accordingly, but that can and does become a little testing to say the least after the 10th award (not referring to anyone in particular, but man, is she good at her computer now 🙂 And I did love & appreciate ALL the time and effort she had put into the award that she gave me, thank you Tammy! ), and so, out of courtesy we grin and bear it because we feel we must because of how we feel about ‘our’ community. 5. Some of these awards have no doubt been created and brought about because of some incredibly amazing creation or works by someone or even in memory of someone that was highly thought of. Or even as a way for ‘beginners’ to put themselves out there for the community to see. But the whole idea of that is so it can be an award that WILL remind us of that circumstance or person for all the right reasons. Not for a feeling of ‘oh shoot, not another one’. So at this point I’m wondering if the whole awards thing should be given a rethink or be redesigned in such a way that it does give it’s meaning back, and a reason to be looked at again with a pride and pleasure for what it can really mean to an individual and not another blip on your blog. Let’s say a regular voting, once every three months (I’m only tossing numbers around here), at a site that is set up for just that purpose…academyblog.wordpress.com…(hopefully it’s not been taken), or some such that allows for anyone to nominate a blog that they feel is worthwhile. Multiple categories to cover the amazing talent that is in this beautiful community. Tally the numbers up and really present them with something that they will treasure forever. Just think of the after parties 🙂 Also I’m sure there is some incredible talent out there who could create other awards or something to be remembered (with their name and reference to their blog) for their efforts of course. Actually I feel a competition coming on to find the ‘best’ award designs for the different categories. Ok, I’ve stuck my nose out there because I feel it is a truth that is being politely ignored. If I’m in the wrong then I give my full and total apologies to all concerned in the community. But in what I have felt and seen so far there are way too many feeling uncomfortable with the process and rather than leave it that way, I think it should be updated, and give it back its credence so that it will be given the respect and courtesy it deserves. May your academy award be heartfelt, loved and show the truth of who you really are within. P.S. The above is just a suggestion, maybe it is needed to start the site up, to allow suggestions to be put forward FROM the community so that what is created is actually what the community wants. P.S.S.S. Yes, I suppose I could do what others do and politely say thank you for the award, and then not do the process because it has become uncomfortable. (And that isn’t what any of the people I gave the award to did, it just seemed to be a consensus among the many comments and replies that I have come across in the community). This entry was posted in The Journey and tagged Belief, Fear, Forgiveness, healing, journey, love, Peace, Relationships, spirit, Truth, unconditional love, understanding, within on October 24, 2013 by Mark Lanesbury. 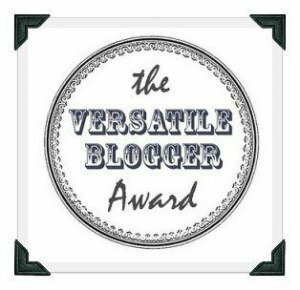 Thank you Tammy (http://tlohuis.wordpress.com/) for the Versatile Blogger Award. Tammy is a beautiful lady that has risen above much pain, physically and emotionally to find a niche in this blogging world where her abilities as a writer, during her day to day (and sometimes night) life, has enabled like minded others to realise their gifts, and like her, share their world in such a way that it gives an understanding to those that do not realise what it means to be in this position for most of their waking moments. By doing this it also creates a sharing within that same community to enable them to feel the empathy of all those caring souls, to bring a smile or some encouragement when the limits of living has taken it’s toll. That would be one of the strongest things I have found within the community, is that it’s ability to care, help and give from such a beautiful place, that I am glad to be accepted as one of those many who are a part of this blogging world. Again, thank you Tammy. I’d like to now present this award to 15 very deserving bloggers who enable me to enjoy, laugh and learn, and be accepted into this wonderful community. 1. http://scottishmomus.wordpress.com/ for her much loved poetry, life’s meanings and the humour to match her journey of being the Bard(dess) of the Highlands. 2. http://truthlovepeace.net/ for her ability to express some very deep inner meanings in such a way as to give them life. Oh, and lets not forget the incredible photography. (Absolutely amazing). 3. http://ladybluerose.wordpress.com/ for her beautiful poetry, thoughts and expressions from a very deep understanding from within. 4. http://gottafindahome.wordpress.com/ for his incredible gift of poetry and expressing his up close and personal thoughts and interactions of the plight of the homeless in his community. 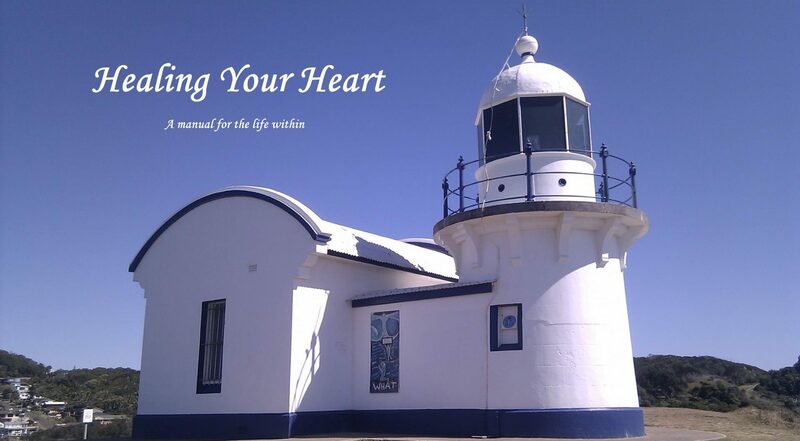 5. http://thesanctuaryofmyheart.com/ for her poetry, expressed from Gods own pulpit within her heart. 6. http://loveandlifeproject.com/ for her lovely ability to share stories from all over the community to show the life that is alive within it. 7. http://bluegrassnotes.wordpress.com/ for her very interesting take on spirit, the journey and her amazing shared insights along the way. 8. http://proverbsway.com for her expression of lots of love and understanding with sayings, poetry and a myriad of uplifting soul searching material to enhance the mind. 9. http://feathermoonpoetry.wordpress.com/ for her poetry that comes from a very soft and beautiful place within. 10. http://projectlighttolife.wordpress.com/ for being so young, vibrant and full of life and game to step into her truth. 11. http://patcegan.wordpress.com/ for her incredible depth of meaning from the knowledge of a wise soul. 13. http://willowmariewrites.com/ for the spirituality within her writing. Even though I have only just found her blog it draws with it’s depth, beauty and understanding. 14. http://owfotografik.com/ for her incredible paintings and photography. 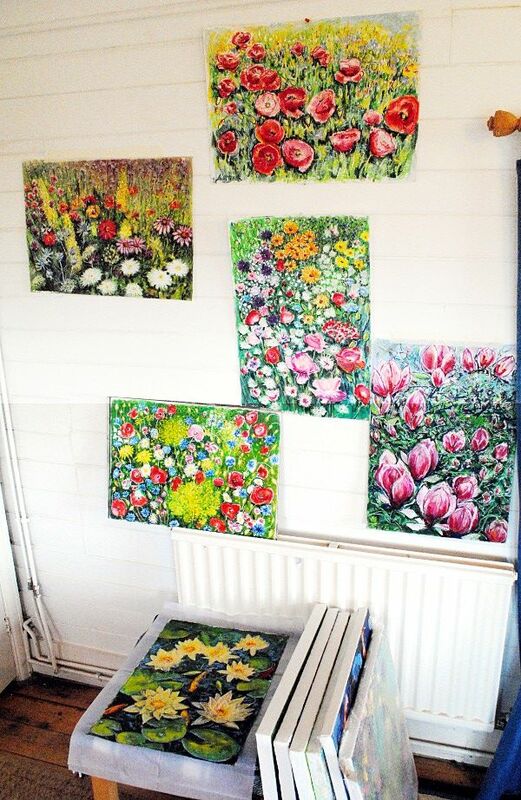 A must see for all its lovely colors and meanings in her work. 15. http://heartspace1111.com/ for her heart space in words. A young life too wise too soon but with a love that can only be obtained from the learning of that truth within. 1. I talk with spirit constantly. 2. I have written my blog with the urging of spirit. 3. I am a Remedial Massage, Bowen and Reiki Therapist. 4. I used to smoke for just 18 years. Gave it up 18 years ago. Now doing the slow drowning death with Emphysema. Give it up guys, trust me, I’m only 54 and I thought I had forever. (well, I do, but not like this). 5. I have 2 great kids. 1 girl and 1 boy. Which somehow turned into 5 grandkids. (I think it had something to do with the drinking water). 6. I love listening to Deva Premal. And talk about a lovely resonating voice. 7. I love to give from a place of healing. Sometimes I make mistakes, but it is always done with love and forgiveness, to others and myself (I have to learn too, I don’t get excused from this journey, even if I do have an awareness, it is more so because of that). This entry was posted in The Journey and tagged Blog, Blogger, Candidate, Poetry, Publishers, Remedial Massage, Tools, Versatile Blogger Award on October 17, 2013 by Mark Lanesbury.